Centralized database where you can quickly and effectively fetch all contacts. 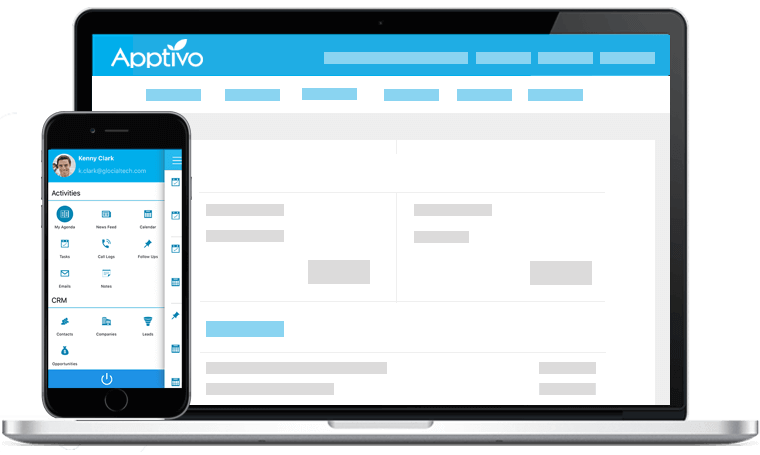 With Apptivo Contact Management, collaborate with people on the go. 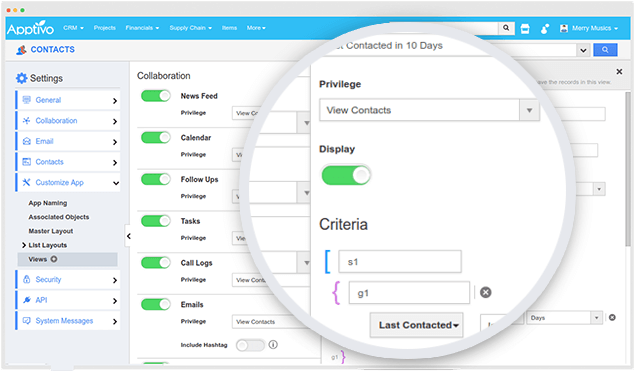 Have all your contacts in one centralized place, eliminating time consuming manual process. Allows your team to continuously do their daily follow up activities uninterrupted. See how the Contacts App makes work better. Get spam free contacts data. 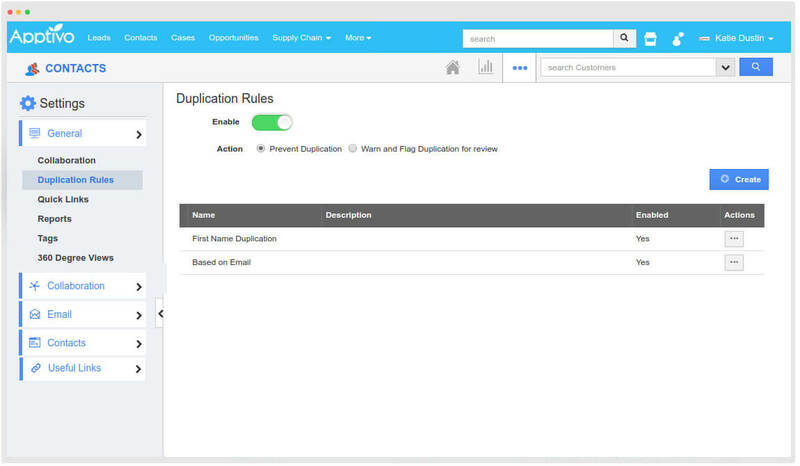 In order to create clean and accurate data, configure and customize your own duplication rules, and avoid re entering of contacts data. Control whether you want to block the creation of duplicates or allow them anyway. For further negotiations, a contact can be converted into a Lead or a Customer, right from the Contacts App. Without the re entering of data in the system, conversion can be done in few simple clicks, saving you the trouble of inputting the details from scratch. 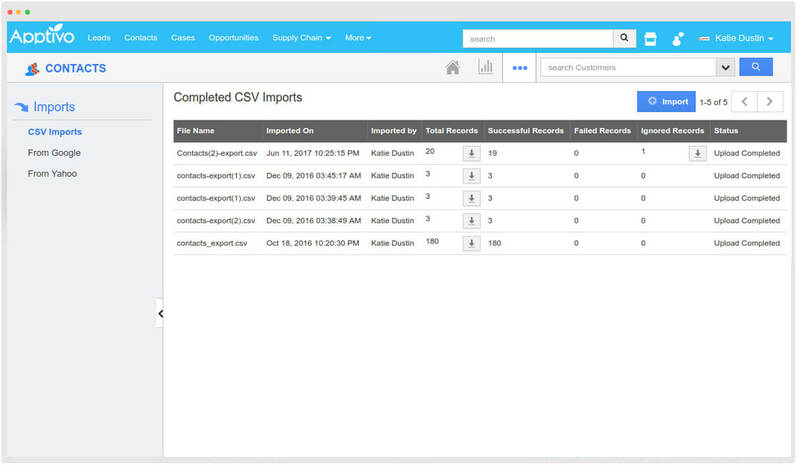 Contacts App allows you to upload contacts in bulk from any source, through CSV files. Being directly integrated with Google and Yahoo, you can also import contacts from your Google & Yahoo accounts in just few clicks. Email templates allows you to save a message format before hand. 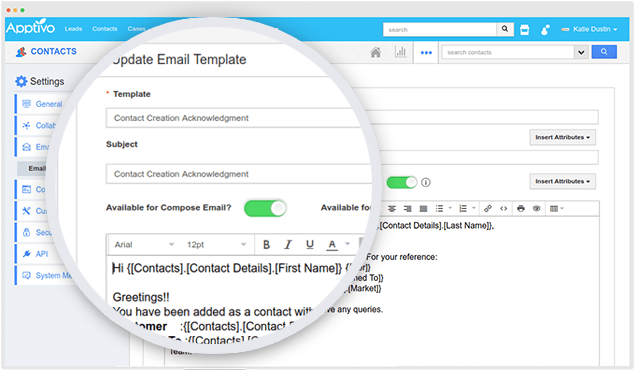 Save time by selecting the template, add required information and send out emails to your contacts in seconds. Manage time by just maintaining Apptivo Contacts App. 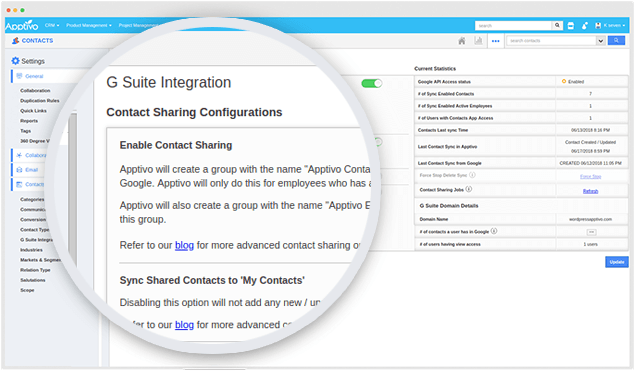 Sync all your contacts bidirectionally between Apptivo and G Suite, saving time spent on manual data entry. Eliminate the process of exporting and importing the data. Keep track of your contacts with effective built-in reports. 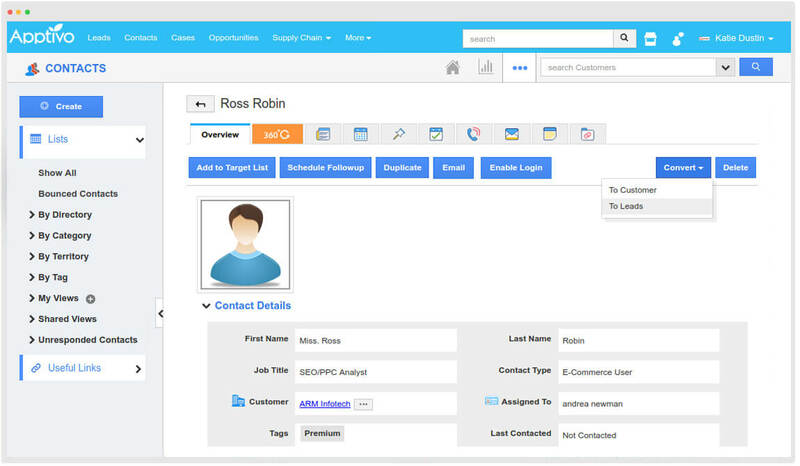 Extract a set of records easily with the contacts reports. At any time you can generate a custom report from any search that you run inside of the Contacts App. You can also export the report generated, for further analysis. 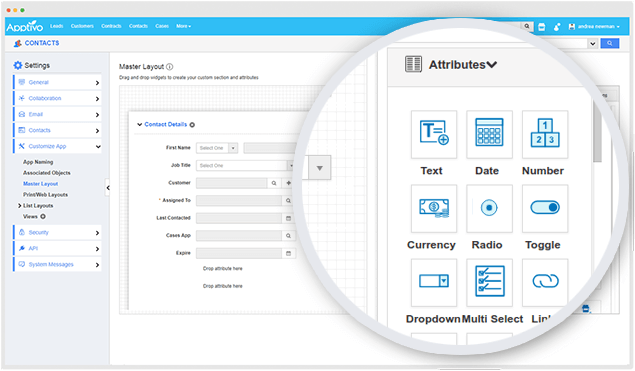 Get access to a lot of flexible customizations, enabling users to feel at ease. Create unlimited custom fields, share contact attributes across other apps, app renaming, select the fields you would like to display in list layout and mobile.